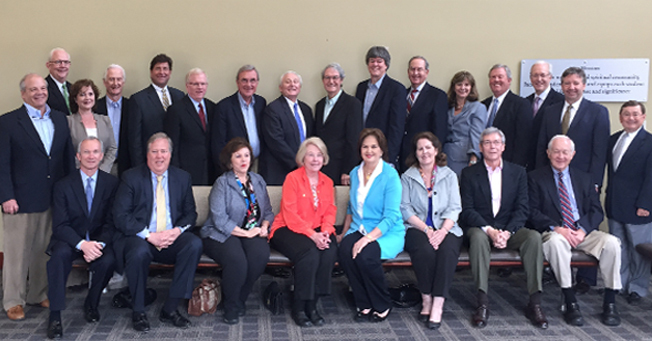 Twenty Jackson Academy former Trustees recently joined current Trustees in the Performing Arts Center gallery for a special lunch in their honor. Those in attendance heard a state-of-the-school and strategic direction presentation from JA President Cliff Kling. The former Trustees’ dates of service to Jackson Academy ranged between 1986 and 2013. Jackson Academy is truly grateful for the vision and commitment of these remarkable men and women who helped shape JA.